Welcome! Love this Hermes Rocket; I have a cheapo one made during the end of its era in Brazil, a '71. But it works just fine! Very true indeed. 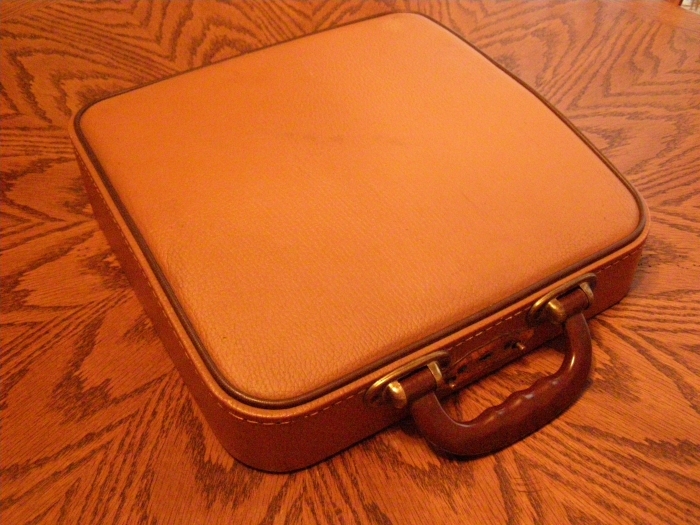 I can also fit my Lettera 32 in my backpack, but it was tight so I didn't do that often. Last semester I brought a typewriter with me almost everyday. That's one thing I'll miss this next fall. 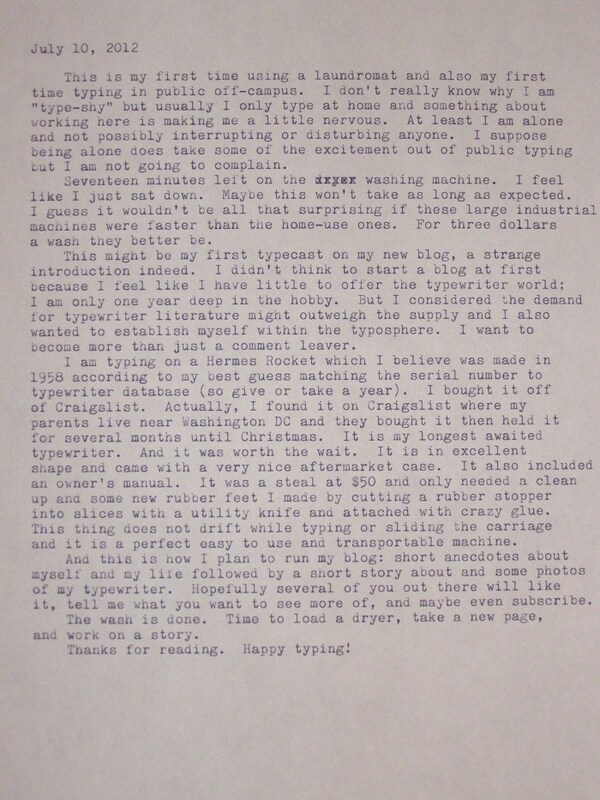 In a dorm I would only recommend having one or two typewriters, but in my college apartment I had over 40 when I moved (this month actually). 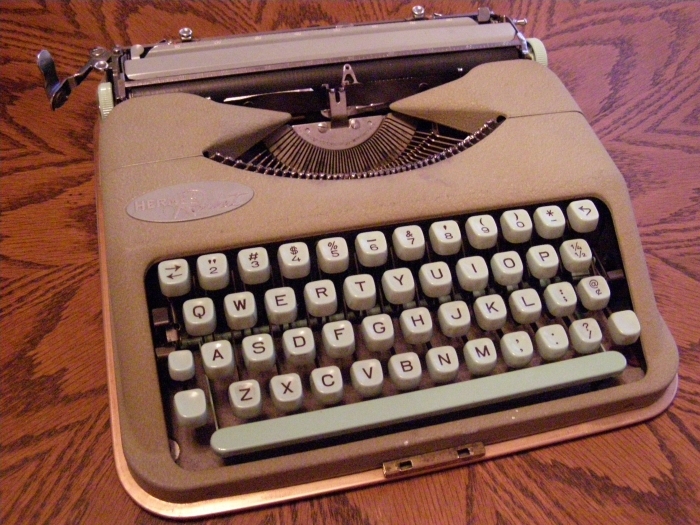 Soon I'll have pictures of my new place's typewriter room. Cheapo Hermes are still Hermes. I have both a plastic 3000 from Hungary (mid 70s) and a 1963 curved body 3000. It is clear which is better, but both are excellent. You're lucky to have the one you have, and I am sure if you keep looking you will find a deal on an older one too. PS: added you to my blogroll. Cool, thanks! I did catch is bad (good?) Just so many deals, and so many to choose! I still don't have one of those! Nice blog you have going, keep it up! Thank you! I'm glad to be a contributing part of the typosphere finally. Holy crow, I'm quite envious of that collection! And the wood floors, by the way. I absolutely adore that Royal 10 that has near-permanent residence on your desk! Even though Royals are considered common by many, I love them just the same.